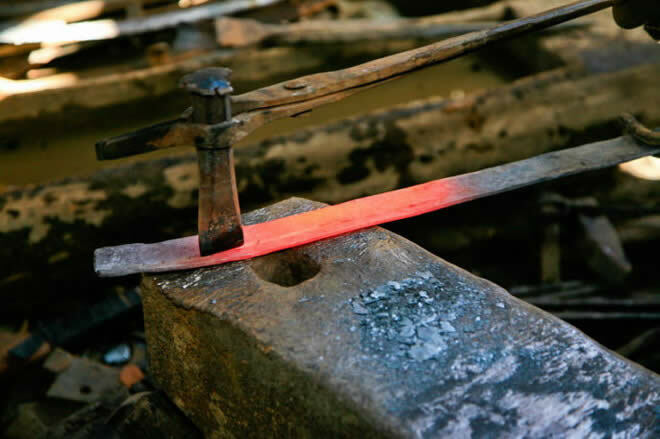 Yigong knife has a long history with nearly 400 years, Yigong knife is special for being made in Yigong only. The material is from the local mountain. 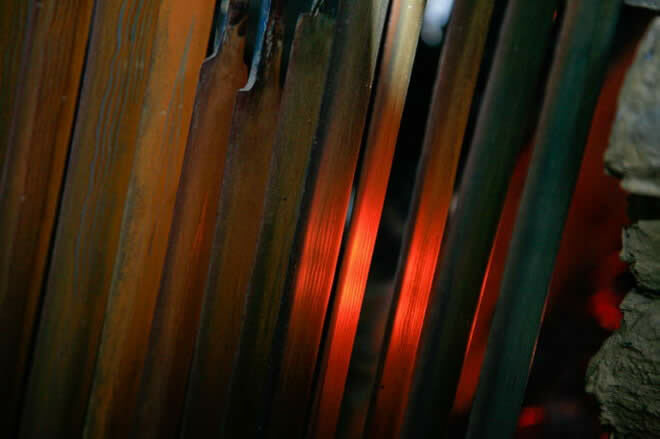 It is made from three different irons, Yigong Niuri Iron, Pagen Senbu Iron and Gongbu Zhasong iron. 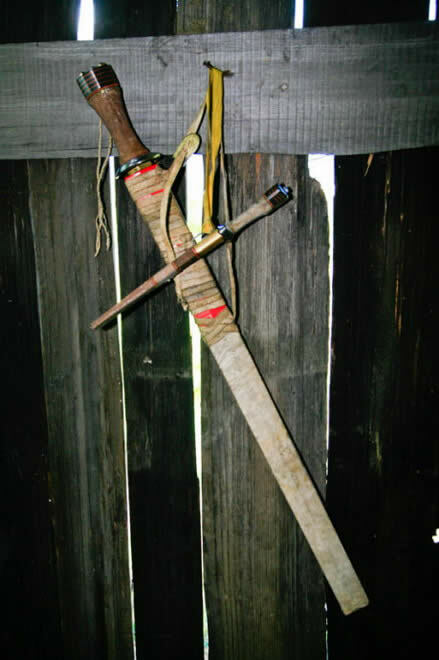 The knife holder has the character of “Yigong” in Tibetan language. 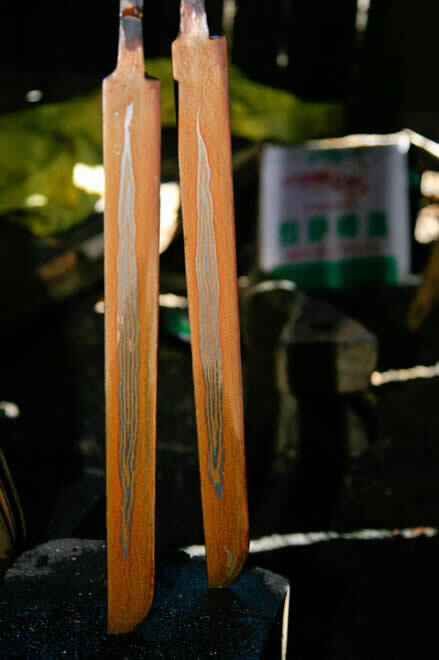 Another feature of Yigong knife is that there are color stripes like rainbow on the surface. So it is call “Rainbow knife”. 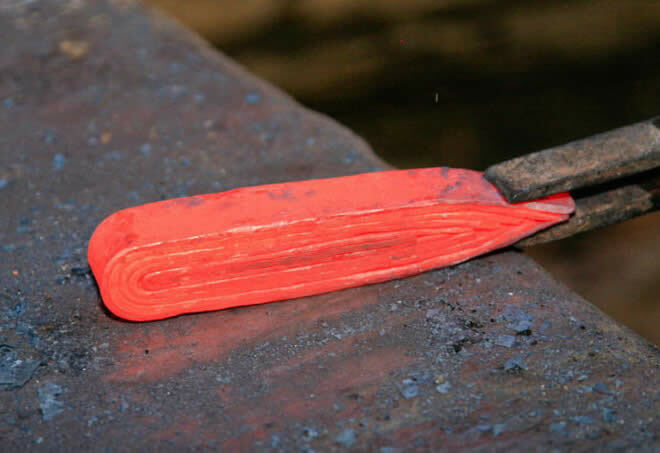 Although the way of boiling iron has turned to electric blower, it is still preserving the original leather blower in forge shop. 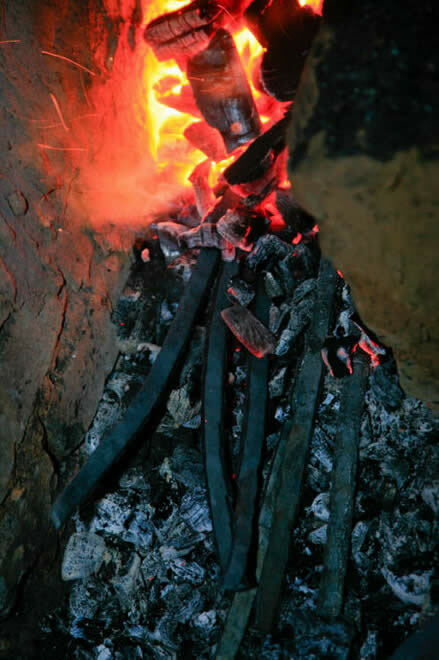 The iron is came from the Yigong iron mountain. 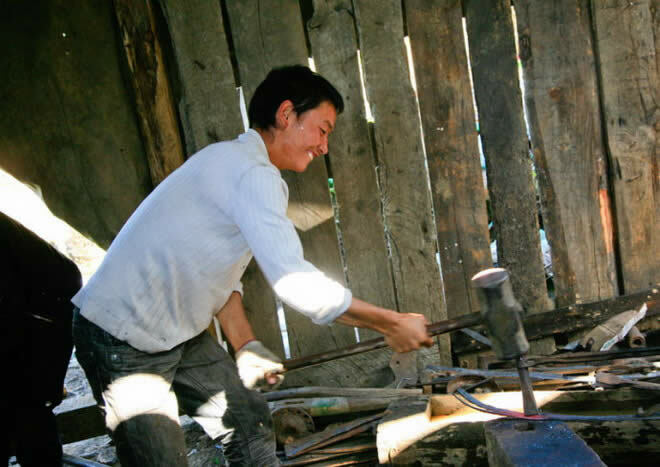 Laga village has 57 families, but only 7 are blacksmiths. 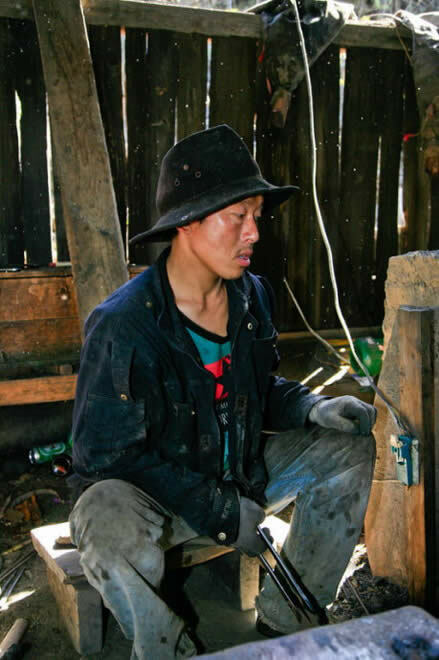 They make Tibetan knives in every family in turn, and then have meal there. 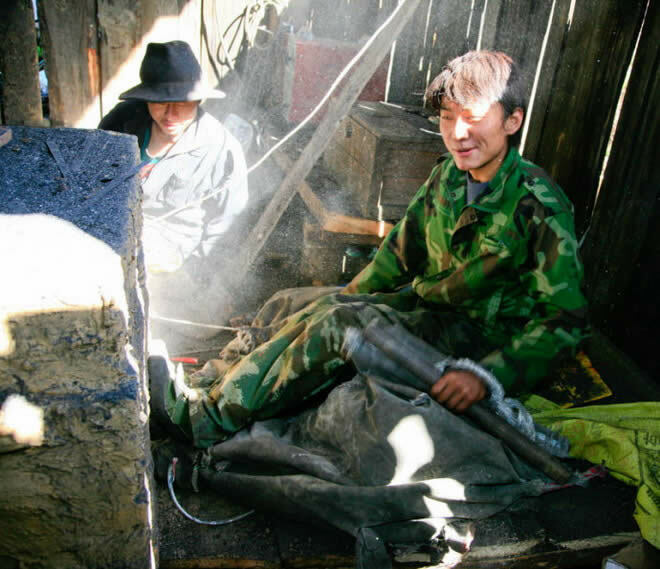 Mr. Baiduo, who is about 35 years old, with a black cap and dirty gloves and clothes, and a red face by the fire roast, made Tibetan knife from 17 years old. Nowadays, he is a famous master with several apprentices. 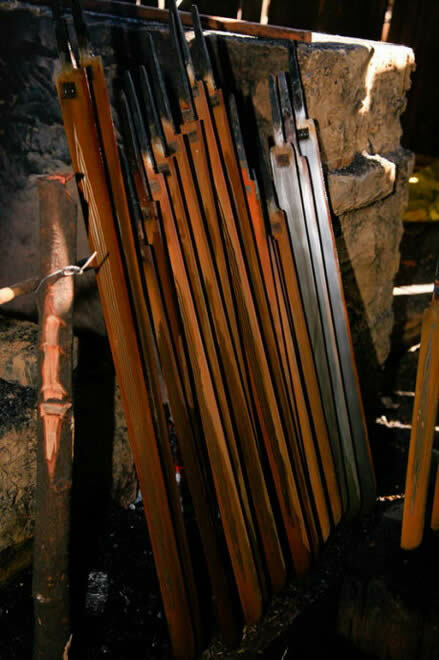 The length of each knife is different, and it turns out to this style after burning. The outside bundled with the ordinary iron. Keeping boiling and pounding iron. 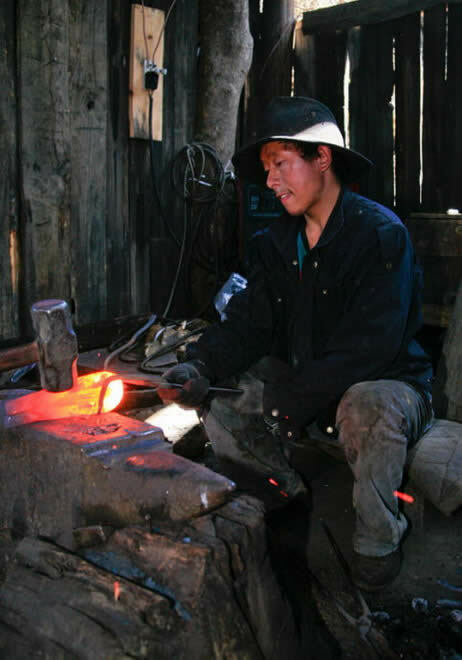 The smithy is made from Wood and relatively simple. 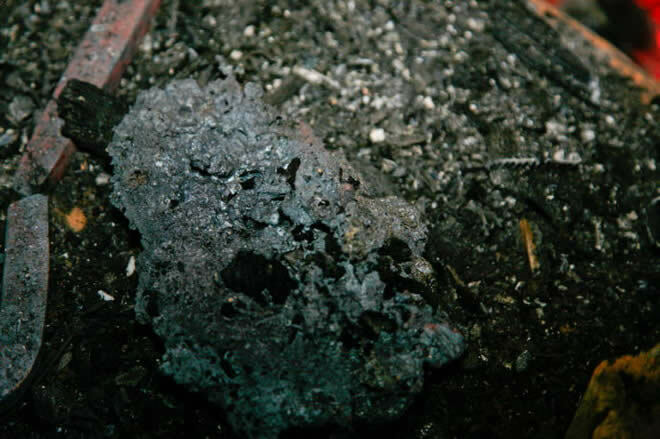 Baiduo sits near the stove and puts the iron in the charcoal and lets it burned red. 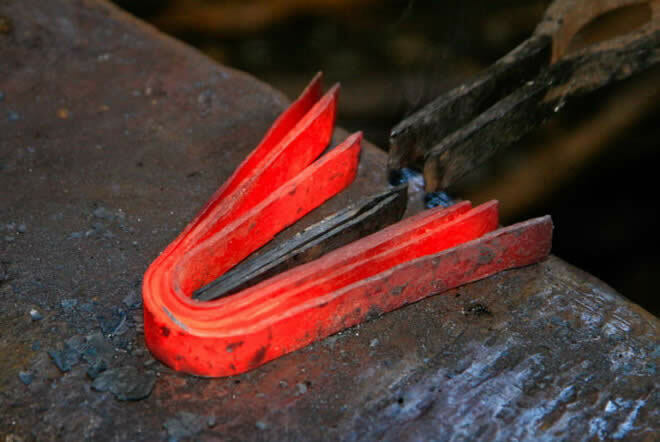 Then pick up the red-hot iron by pincers and put it on anvil. His disciples are beating it by the hammer under the masters instructions. This is an extremely long process. 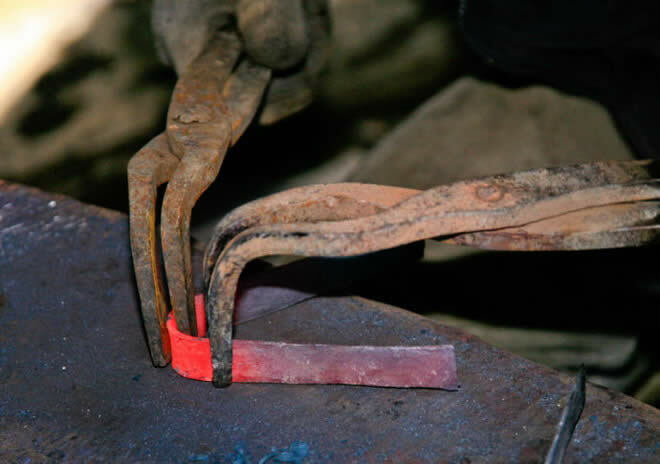 Firstly, beats the three red-hot irons into a certain shape, and also combine the three irons together. 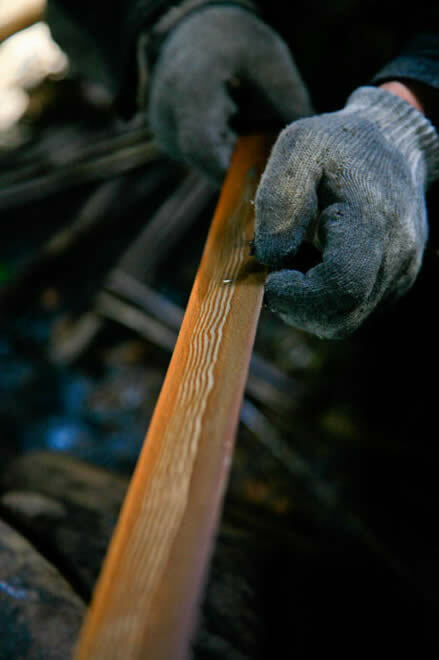 The process of synthesis of three irons is the "secret" in Laga village. Generally it is not permitted visitors’ watching. 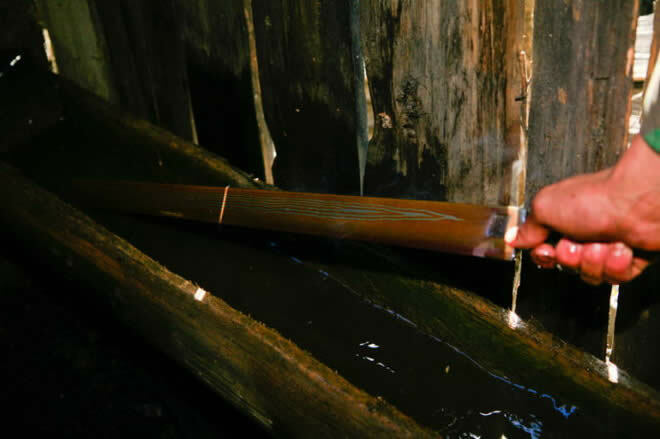 The appearance of Tibetan knife is very rough when it shows, but will become smoothly and sharply after polish one month later. Finally, stamped the words "Yigong" in the hilt, then put into the scabbard, that would be ok. 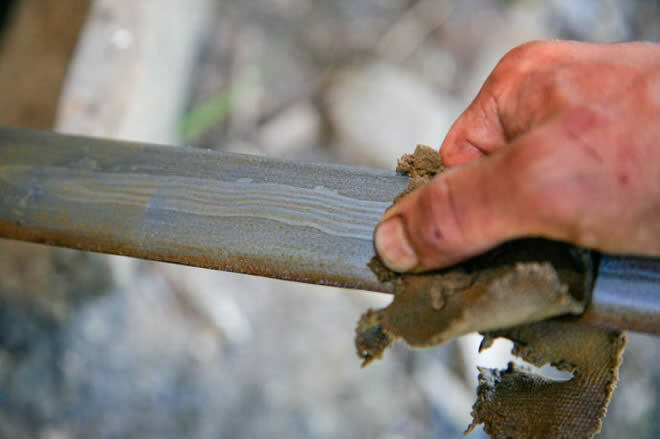 The original Tibetan Knife is just like this, and you can see the stripe of rainbow. 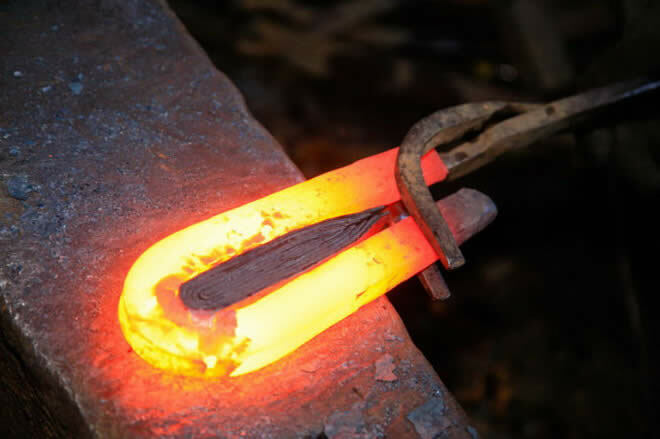 The Tibetan knife needs to be polished when finished, which will take about 1 month. Put the knife in a row and roast. Then it will be polished by the sand until its surface become smoothly. Then put it into the exquisite scabbard. 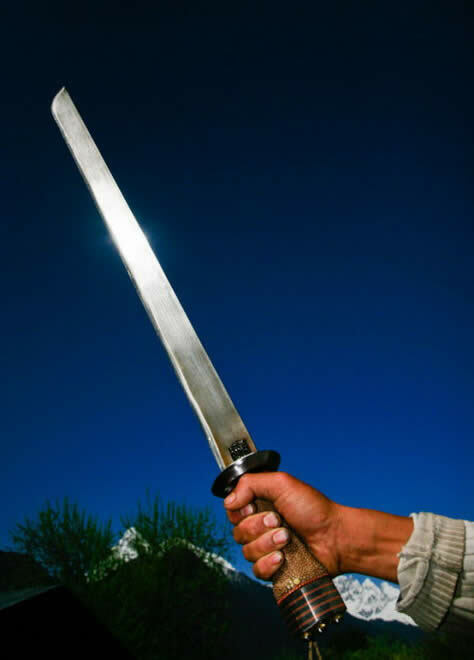 The Tibetan knife is famous for its length, light, convenience and sharp. 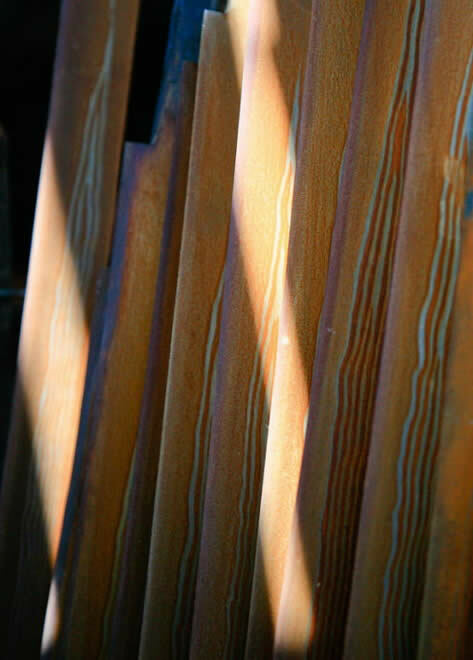 It will never be rusted, and well known by its craftsmanship. 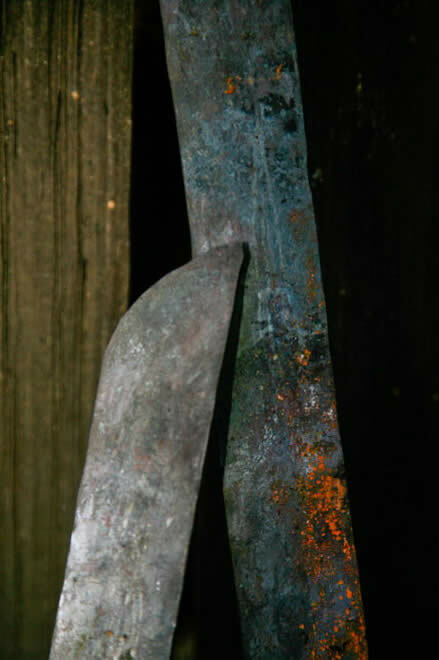 Tibetan knife represents a rich life. Carrying it can protect you from the evil and feel safety. 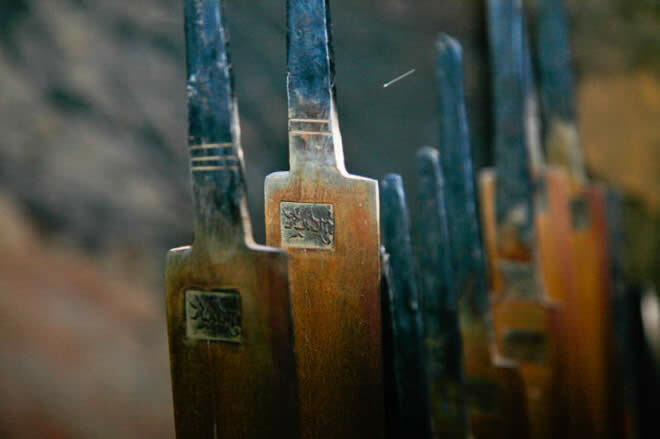 Tibetan knife is used by the upper class in Bowi area and now the masses of Bowi and other Tibetan areas, and visitors will be proud of owing a Yigong Tibetan knife.